Smartphones have a constant device in our lives. Internet browsing has become mobile and apps are the ones that capture the most use of devices. At the enterprise level, apps offer great opportunities in terms of business and mobility user experience. Companies must be prepared to respond to this situation and the creation of apps is one of the main ways to get into this ecosystem. So, and contributing my own experience as an Android app developer, today we are going to inaugurate a new section aimed at introducing us to the development of Android applications: the section ‘Learn Android concepts’. In this section we will take a tour of the basic fundamentals of the API (Application Programming Interface) of Android to be able to program an application in Android, from scratch. For those who do not know what an API is, basically it is about the functionality they provide us (in this case Android) to be able to program. This does not mean that with these concepts we know everything, nor of course that there are other concepts also important. What is involved is to explain here the most important general concepts to create a good structure of our application. With this base, to dig into more specific concepts (such as access to GPS, for example) will be much simpler. Many of start-up company already working on it. The first thing to know is that to program native applications in Android, we must learn to program in the Java language, knowing object-oriented programming. Once on the web, just give the link that says Download the SDK, and we will download a version of the development environment Eclipse, customized for Android and already prepared with the latest SDK, the ADT plugin, as well as emulators on that can test our application. 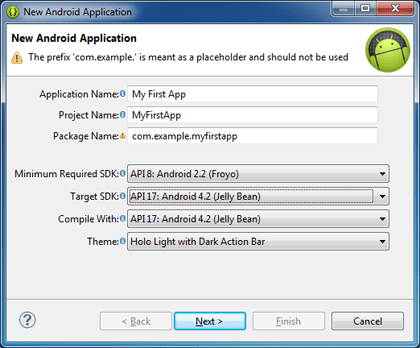 In the past Google I / O (2013), they also announced the new Android Studio IDE, which we can also use instead of Eclipse, but we must know that they are still in beta. From the same page you can access the information to it. 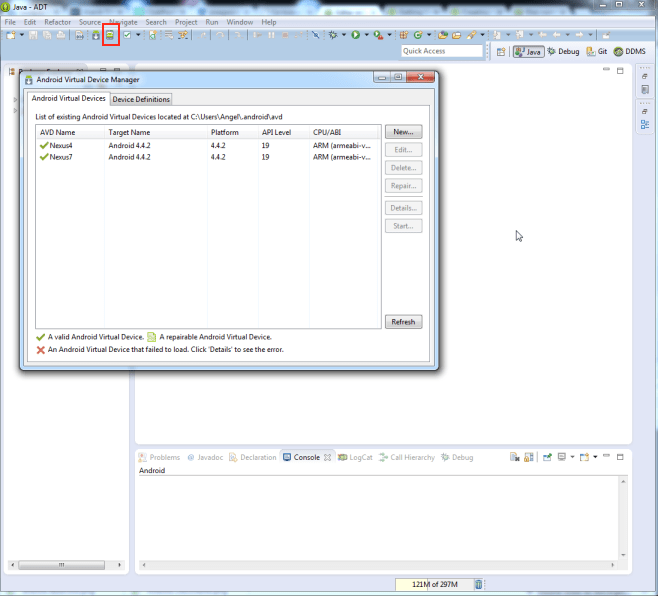 We have already talked about this new IDE, but in this tutorial we will use Eclipse. Once we open our development environment, we can download all versions of Android if we want, as well as other extra packages. 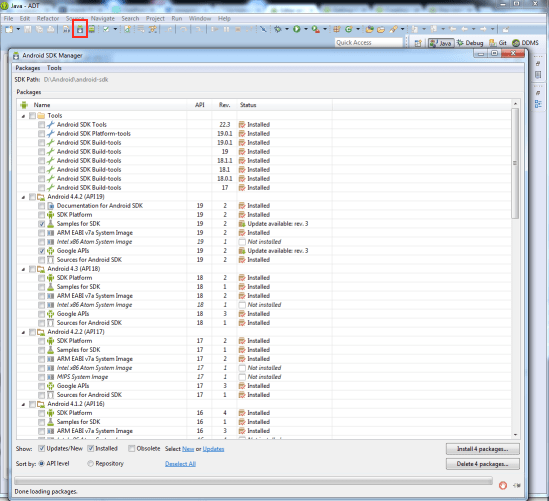 To do this we will use the Android SDK Manager. In the next window, we must enter the name of our application, the name of the project and the name of the package (this will be unique for our app, it will be the ID that Google Play will use to identify the application). We will also introduce the minimum Android version required, as well as the version with which we will compile (generate our application from the code) our application. After completing all the fields as we need or want, we go to the next screen, where we will leave the options selected by default. In the next screen, we can create an icon for our application. For this, it would be ideal to take a look at the Android design guides with regard to what icons refer to. Finally, we will select an activity template to start working on. We can select Blank Activity, which basically is an empty screen. With this, we will have our particular Hello world with which we always start programming when we use a new API (we also saw how to create a Hello World in Android Studio). To run it, just have a real device connected or launch an emulator and click the Run button (a green circle with the icon Play blank). With this basic information, we end the section today. 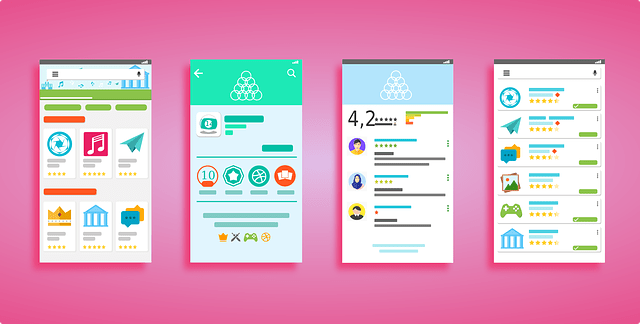 Next we will go into deep concepts that I think would help us to be much clearer how the structure of the Android API will organize and, therefore, will make things easier for us to be clear on how to develop our applications. If you have any questions or want to ask me or suggest anything, you can also find me here. If you have not yet encouraged to program, visit here, How to learn Android Program?